1. It was a exclusive invite meet for ladies only. 2. It was a fashion one. I was afraid that for the 1st time my streak of attending consecutive Indi meets would be halted at just 13, but God and Indi had some other plans. 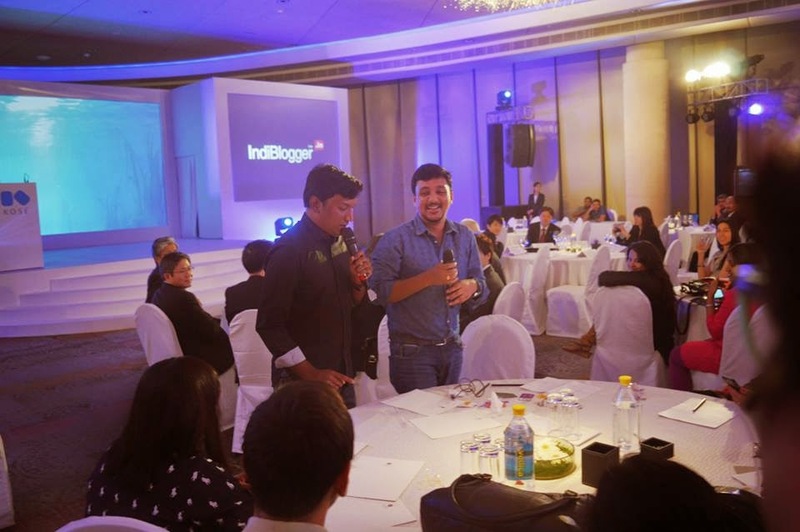 After 5 days I got an exclusive invite from Indi team to attend the event. Guess, they must have thought that with me not there who`ll be there to fulfill the craziness quotient. This invite was like spotting an oasis in a desert. 9 months without an Indi meet is pure torture. Seeing the list of attendees I came to know that Rahul Prabhakar was also going. We had another event in the morning of the 10th to attend so we both knew that it would be a crazy day for us to attend 2 events- one in the morning and Indi in the evening. 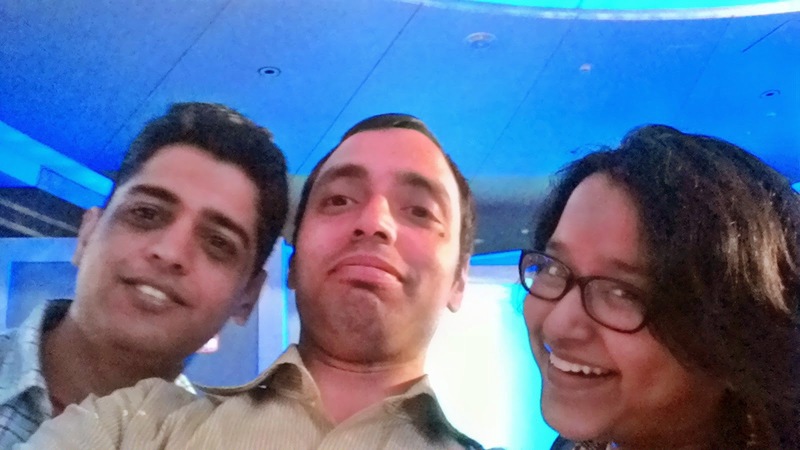 We had our first event at India Habitat Centre and because of the fact that Rahul was wary of heavy traffic, we left that place at around 3.30 in the afternoon for Hyatt ( we both were tired and needed some rest as well ). I am more of a metro person so roads and routes are not my domain, Rahul too was also not so sure about the route. 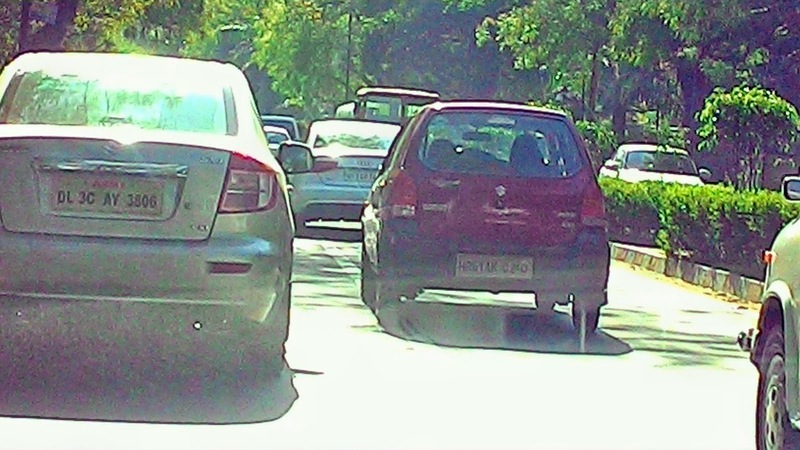 At a traffic light, we asked a person in a Maruti the way to Hyatt. He offered us to tell us the way as he was going some distance towards that way and we decided to follow him. With the traffic merging , it became a bit tough to follow the car and we thought we might loose him so I kind of acted as the navigator while Rahul drove. Forget about me ogling all the beautiful Delhi girls, I was more focussed on the car and this is what we both were saying inside the car, kind of blessing the man just like the way alms seekers do at traffic signals, “ अंकल जी आपका भला हो, आपके बच्चे फूले फलें, भगवान् आपको खूब तरक्की दे. 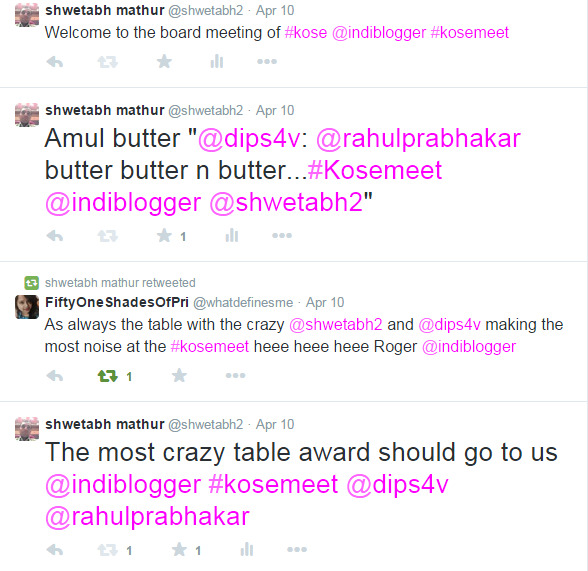 2 bloggers की दुआएं आपको लगें. आपकी गाड़ी कभी न पंक्चर हो, आप हमेशा सही समय से पहुँचो.. “ . We had innovated the blessings in own way while shouting " गाड़ी कहाँ गयी, अंकल जी कहाँ गए ? whenever we lost sight of the car. Thankfully, he got us very close to the destination and waved off. We reached there and when we reached the reception after getting out of the car were in a shock as the information plank read as , “ Kose Indiblogger 0900- 1145” . The 1st thought which came in our minds was that had we missed the meet?? But then nothing looked like that way and we started the search to that place. When we finally reached the Indi space we found preparations still going on. Vineet, Anoop, Karthik were there with a few new faces as well. Sai came up later. Vineet told us that the meet was at the scheduled time and it was a press meet going on for kose since the morning. That meant that we were safe but not me. I was again at the centre of the teasing of these 3. Karthik – You`ve got to show us your ID… you look like Shwetabh but you are not him definitely. Karthik- C`mon. we need proof. Anoop- Hey look, He`s hiding the pic. Name seems alright. You`ve gotta show us the pic too. They do this prank everytime I am there in some way or the other. After we saw that we both had a lot of time, we started searching power points to charge our phones. The whole day lasting 2 events on full battery was impossible and not to forget that in Indi twitter was gonna drain it all out. Luckily we found them in the lobby and talked while we just waited. Then we noticed new people coming up, the fact that many of them were coming for the 1st time , there was no crowd visible so me and rahul got talking with them and instantly making friends. 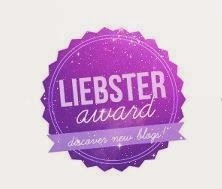 A food blogger Urvi, an Oman returned Author Suanina, fashion blogger Preeti and many more. 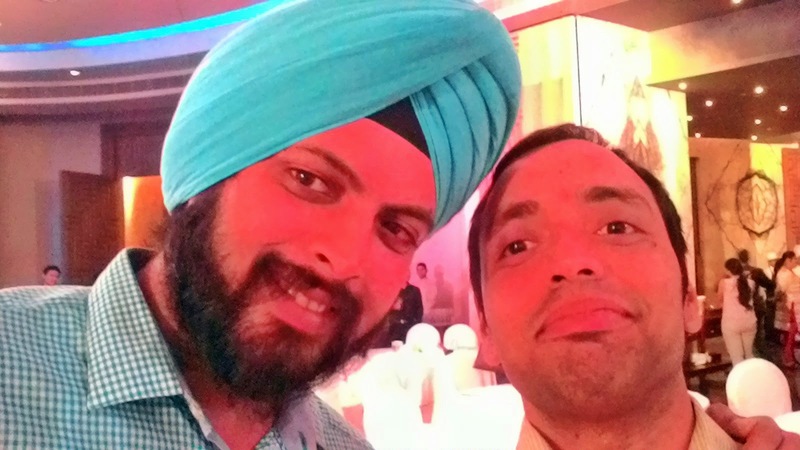 It had been quite a long time since I made new friends at Indi meet- the last one in June 2014 so it was another welcome change for me. With majority of girls being from either fashion or like genre I felt like a bit odd telling that I was from the personal genre of bloggers who wrote emotions. Well Urvi didn’t seem to look at that. Then came Priyanka..well that friend of mine can change expressions much faster than weather so I was wary of what was going on in her mind. She is the total crazy sort when she teams up with Prachi. Danger ahead for me. We chatted some more before I decided to have a look that how were things going as it was close to 5.30. We moved to the registration desk and there I was greeted by the cheerful family I always see first – Khandujas. Spotting them means that its going to be fun. 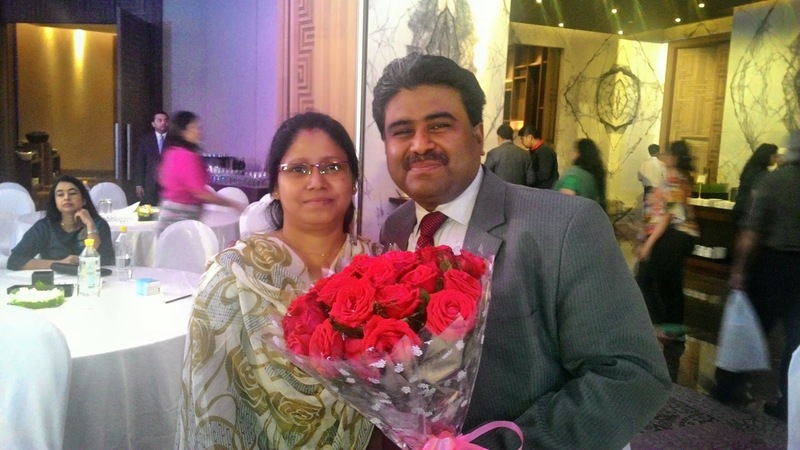 Engaged in talks with them and then I noticed the veteran of indi meets- Sangita Passey mam. I just couldn`t tell how happy I was to see her. I haven`t seen her for ages in meets. These signs told me that somehow I was going to have fun meeting old people there. I met more then- Dipali, Prachi , Manjulika, Dr. Mandira, Judy and a few more. A quick bite and we headed inside. The blue light inside (theme of Kose) told me that the pictures would be destroyed tonight by the lack of proper light. 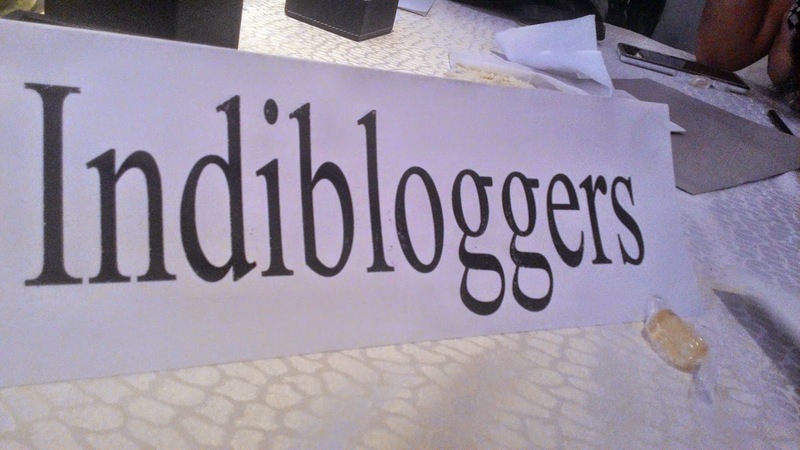 We grabbed a table reserved for Indibloggers and began our chatter. Me and Dipali never gave a damn about sponsors and all when it’s a night meet. We know that in such a short time its tough to enjoy things so we concentrate on fun. In comes Anoop and off he starts with the proceedings. 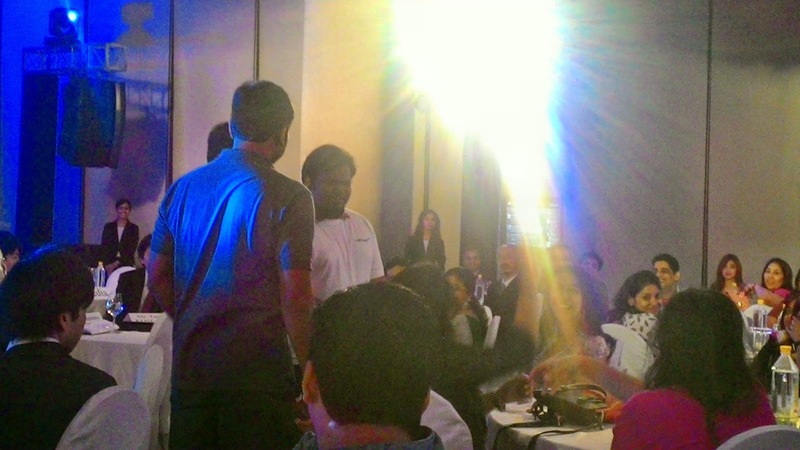 He introduces the debutants first and then starts off with the usual line as to who is making its longest presence. I know that all of them know how long I have come that is why is said to me, “ We know Shwetabh..I`ll come back to you later” and Dipali got a chance to speak. Grrrr…They had asked for Japanese names of our blogs as we had a laughing time as all tried pronouncing it out. 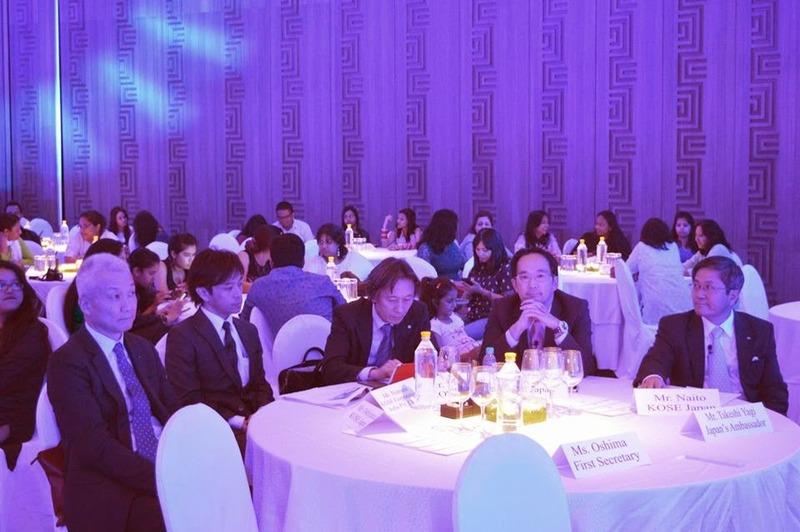 The top management from Kose was there as well and I am sure that they must have had a hilarious time. Then it was a small game which we all played. In 15 minutes we had to gather something personal from every person we met. I was somewhat lucky that I was carrying my blogging cards in abundance by chance and I knew that this was the only personal thing which I could give without thinking twice. So the hunt started and I collected whatever I could get my hands on. It was a variety of times I got. I was on a sort of चंदा वसूली mission. Just like Crime master Gogo from the movie Andaz Apna Apna- आया हूँ , कुछ तो लूट के जाऊंगा . The items ranged from a pen by Sangita mam, Bangles by yogita, toffees both by Umang and Jaideep Khanduja, an expenses list by Soumya, Tissue from Priyanka ( I told you I had to be careful ), a passport photo by rahul, a lifestyle membership card by Dr Mandira (she looked stunning by the way), a fake prescription prepared on the spot by our very own Dr. Sahab :) and a few lipstick marks on the paper by those who had nothing left. All in all I was down to 14 items. The chaos ended and we returned to our seats. I was thinking that a few more lipstick kisses on the paper would have been nice and how about a proposal by someone- beat anything more personal than that. My luck , there was no girl who proposed to me so I was dejected as usual. Others had a variety with combs, mobile phones and such things. Rahul had more than 20 items but a few of them were financial slips so it didn’t make him the overall winner but it surely gave him a chance to introduce himself. The same happened with few others as well. I don’t know that when I would get a chance to introduce myself…its been a very very long time. I need my 15 secs of fame once again. I tweeted to people to take their things back from me. Just like a wife ticks off bills to be paid at the start of the month from the salary her husband gives her, I was ticking off items to be returned from my list. When rahul was naming the items he named my card and Anoop asked, “ I have seen this card at quite a few tables now, whose is this?” . When my hand went up, his laughter said it all. Priyanka got a pepper spray from someone and as a prank Anoop called up one person from the core team ( I don’t know his name) to try it on. He did not suspect anything but knowing the damage it can do, Priyanka backed off from that. It can hurt like hell. The numbers game came next but due to the shortage of time there were only 5 numbers this time with things such as a plate of cookie, small kits, toffee and hard cash. The Indi hurr time, even the Japanese kose team had to do it this time.. nothing is complete without the Hurr. Takeshi Yagi began the address ( he is the japanese ambassador). One thing which I liked was that all the japanese people were greeting us in traditional Japanese culture when their names were being called. Believe me the crazy set of us Indibloggers gave them the loudest ovation on this. Our announcer was Sanchali and not to mention I was more interested looking at her rather than anything else. Stunnerrrr. The address seemed like a political one to me by Mr. Yagi . 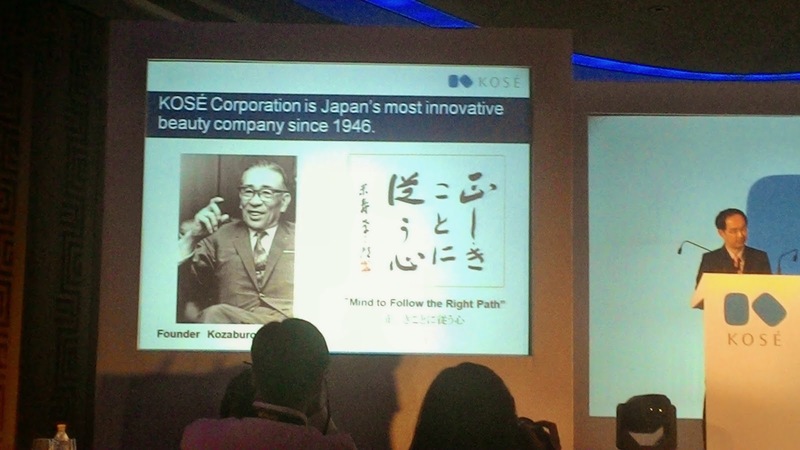 I listened to the history of kose that’s its one of the oldest Japanese company in this domain of cosmetics. That address came from Mr. Koyashi Shan. 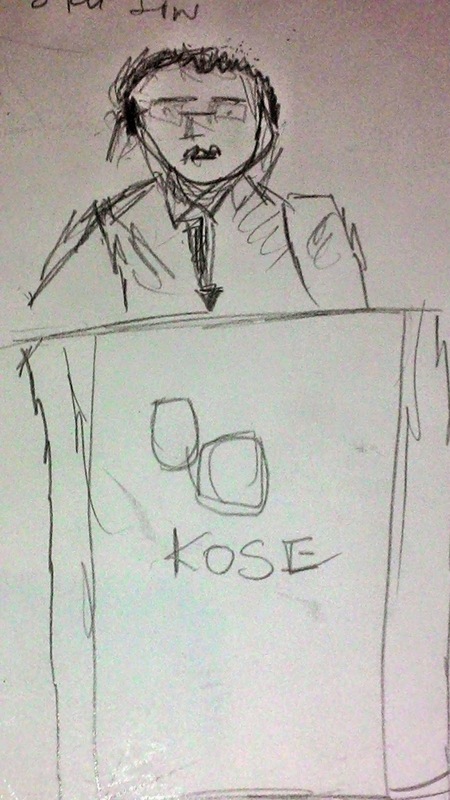 The presentation was all about kose and the products but did I mention that I was paying any attention. 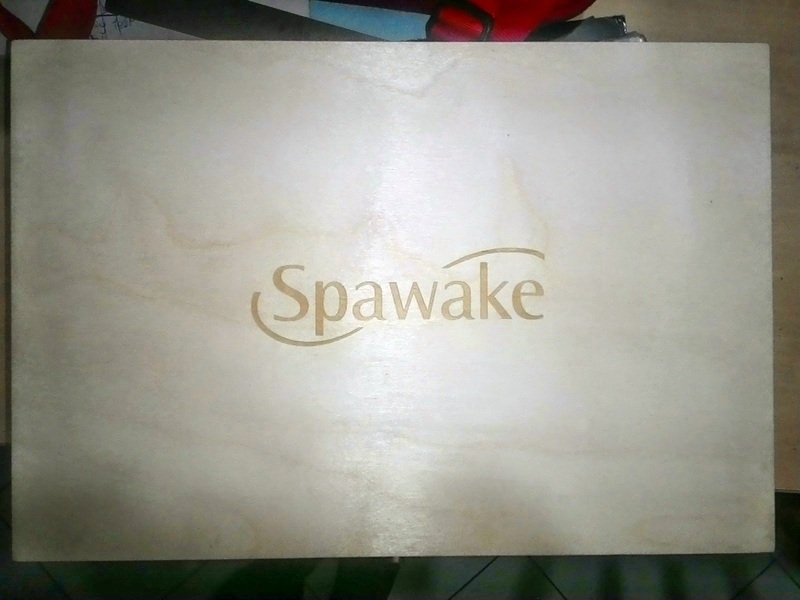 With a boardroom like presentation going on, it held no interest for me. 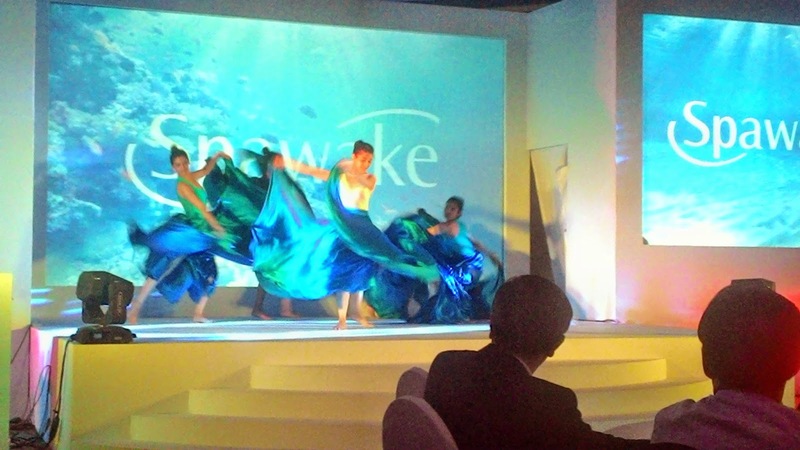 The whole range of kose was launched under the brand name Spawake. 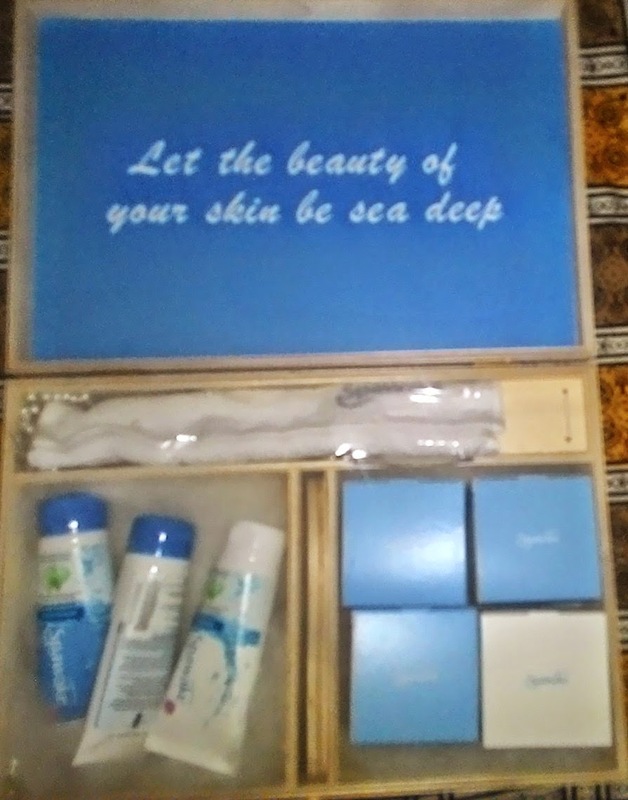 Mind you that its an expensive premium product with 249 bucks for 50 gm whitening cream. Over 3 years research has gone in these products. One of the slide had a blurred image of a celebrity so I couldn’t guess who that would be. Ending the suspense she made her appearance- Aditi Rao Hyadri. Rahul nonetheless guessed it to be Deepika in the beginning but I had doubts about it. So in she came and he went gaga over her. 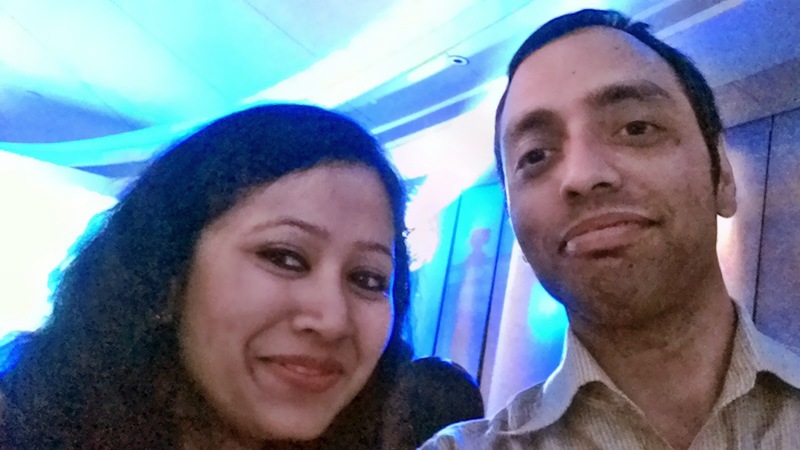 A selfie request with her was delayed by her with a promise that it would be done later on. Guess she is not used to the delhi crowds. 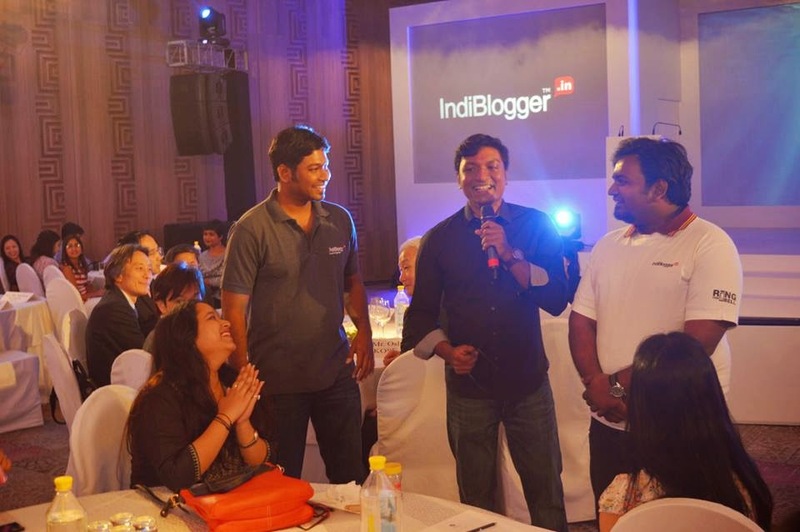 We bloggers rapid fired the company with some really tricky questions which couldn’t be handled that easily with them, although they tried their best to answer them. The most hilarious one by Mr. Khanduja- The company says beauty and intelligent. 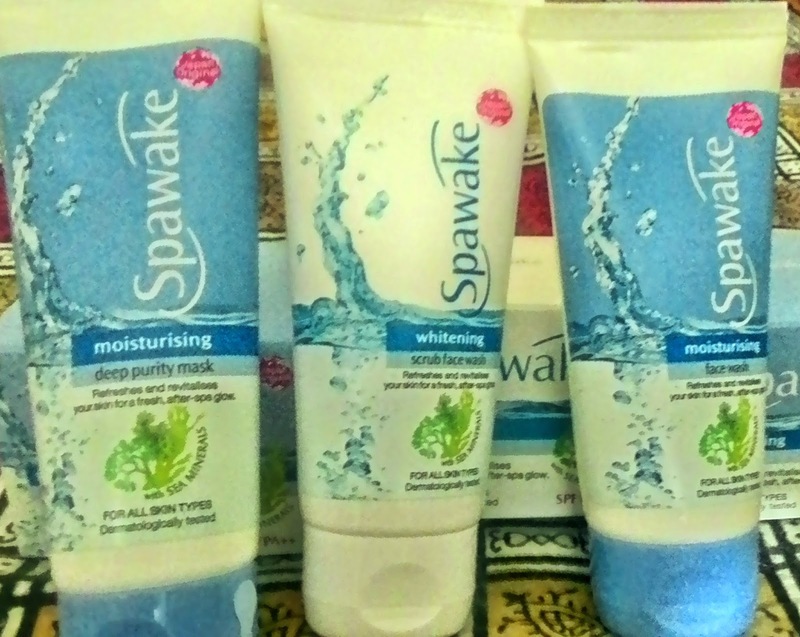 Does applying the products make the person more intelligent ? Some straight ones by the users- What use is seasalt as ingredients for the Indian users? How do you plan to counter competition? How do you plan to sell these ? Which channels ? You are saying that you are different from the competitors but like others you too are putting emphasis on the word “ white skin”… then what makes you different in that case? 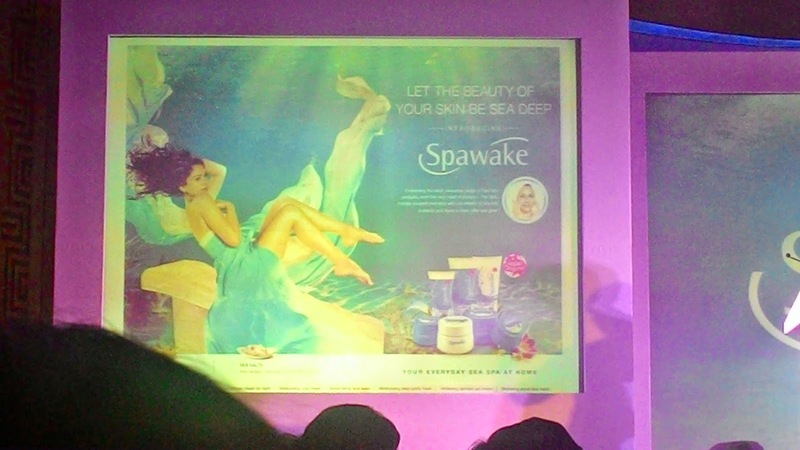 After the welcoming intro by Aditi and her experience of cosmetics and its usage, it was time for a nice performance depicting the underwater theme. Meanwhile we were given sample of the cream to try. 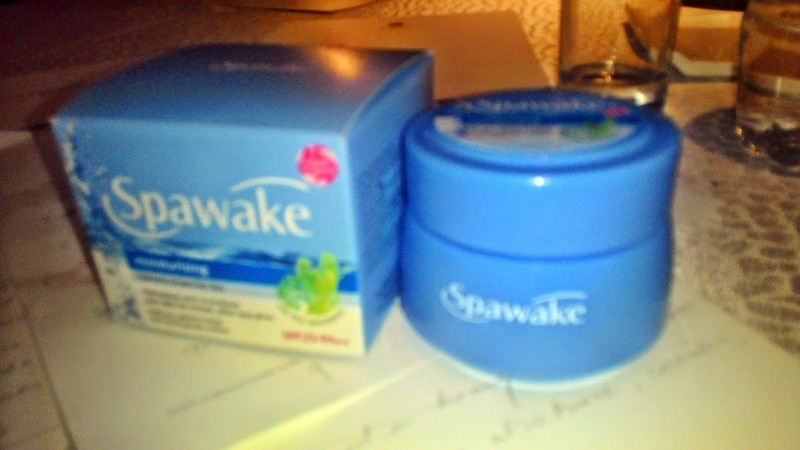 With seasalt and weeds as its ingredients , it felt nice, not too sticky in any sense. The scent resembled like a breeze scented car perfume, mild on the senses. There were a few more questions for Aditi to answer, a one posted by god knows who to Aditi.. What were you using before Kose? I know that her highlighting all kose brought about this question. However diplomatic she may have sounded, all knew why she was all kose at that moment. All celebs use that for their products. After the performance it was time for a group photo in batches with her. Although a limited number of bloggers were being called in batches by turns, she must have freaked out looking at the number of people surrounding her at one go. Ok so that too passed off peacefully while I started meeting the old friends. Alok ji just made an entry, Poonam ji was there already, the smiling sardar Simar had just joined us some time back. Looked awesome to connect with him again. I connected with the old people during this time, after the photo session got over. Nothing can take up the joy of meeting old friends during this time. I looked back in time to Aug. 2013 when it was this same venue of Hyatt with Ambipur which had made me gain the now famous Indi nickname. A part of me surely got nostalgic for sure. Time was up as the 4 hours passed and the meet was coming to an end. I clicked pics with my friends- part of me to keep the happy memories. Looking for the next Indi meet. Writing about a fashion meet is surely a tough job... Everybody went home carrying an assortment of Kose products in a box.